-- Mexico, China, and Egypt. * MEXICO (RLPB 342), where Protestant Christians -- especially those in rural and indigenous communities -- face persecution at the hands of Roman Catholic (particularly syncretistic animist-Catholic) majorities. Pope Francis was due to visit Mexico from 12-17 February. UPDATE: On 15 February, the day before Pope Francis was to visit the southern province of Chiapas, a Protestant church was looted and torched in Zinacantan, a city in the central Chiapas highlands. The pastor, Ciro Díaz Mendez, has filed a complaint. Considering Chiapas has long been a persecution hot-spot, it is disappointing that the pontiff did not have anything to say about religious freedom, religious tolerance and the Catholic persecution of Protestants. * CHINA (RLPB 343), where President Xi, a committed Maoist, is consolidating power around himself as 'the core', and insisting Chinese culture -- including arts, media and religion -- be brought into the service of the Chinese Communist Party (CCP). Pastors in two of China's largest TSPM (CCP-approved) churches have been arrested, purportedly for corruption, but in reality for criticising the CCP policy of removing crosses and church demolitions in Zhejiang. (1) ESTABLISHING CONTROL OVER THE CHURCH: In the same way that Christian lawyer and defender of the cross, Zhang Kai, and his legal assistant Liu Peng, were doubtless coerced to write the letters in which they dismiss their lawyers [RLPB 341 (27 Jan)], Pastor 'Joseph' Gu Yuese, pastor of Hangzhou's Chongyi Church was doubtless coerced to write the letter in which he exhorts the members of Chongyi Church not to protest or make inquiries, but to support their new CCP-appointed pastor. Pray for the Church in China! FURTHER UPDATE: China state media reports that Christian lawyer and defender of the cross, Zhang Kai [see RLPB 325 (2 Sept 2015)] has appeared on Chinese state television 'confessing' to his 'crimes'. 'I’ve broken the law,' he said, 'disturbed social order, endangered state security, and violated the ethics of the legal profession. I am deeply remorseful for my actions. . . I also warn those so-called human rights lawyers to take me as a warning and not collude with foreigners, take money from foreign organisations, or be engaged in activities that break the law or harm national security and interests. . .' The CCP maintains that Zhang Kai has been carrying out a political agenda on the order of foreign forces. It took six months of secret, 'black jail' detention, doubtless replete with cruel and inhumane treatment, but the CCP now has Zhang's coerced 'confession'. We await the sentence. Zhang Kai's friends feel certain he has been tortured. Pray for China. May the Lord intervene for Zhang Kai. (2) CONSOLIDATING POWER IN XI: On 19 February the CCP's flagship newspaper, The People's Daily, carried an editorial exhorting news reporters and editors to be 'disseminators of the Party's policies and propositions.' 'Marxist political parties have always regarded the work of guiding public opinion as a sharp weapon in revolution,' it said, adding that guiding public opinion is at the very forefront of the ideological battle, which calls for a common ideological ground for pursuing the Chinese dream. No doubt President Xi is preparing the political ground ahead of the 2017 Communist Party Congress. Some analysts have surmised that Xi might be planning to follow Mao and rule for life. Pray for the Church in China! * SUDAN (RLPB 344), where the Government of Sudan (GoS) is preparing for a major military offensive against the African Christians of the Nuba Mountains. The Government of Sudan (GoS) has resumed aerial bombardment of the Nuba Mountains. Arnu Ngutulu Lodi, spokesman for the Sudan People's Liberation Movement-North (SPLM-N), reports that Sabat, Tujur, and Lumbry in Dalami County were targeted with seven bombs on Saturday 13 February, nine bombs on Sunday 14 February and 18 bombs on Tuesday 16 February. Two schoolgirls, Alnaya Abdalla Altaj (12) and Aisha Abdalla Altaj (14), were wounded, as was Samir Saeed (46). On Monday 15 February the GoS bombed the Alabu area in Umdorain County, killing Jibril Tia, and wounding several others. Army and militia forces are massing in the north-east, the south-west (where the oil fields are), the state capital Kadugli and Talodi. Just as in January-February 2012, it appears the GoS are preparing to drive the Nuba out of the Nuba Mountains into the Kauda valley, which leads to Yida, in Unity State, South Sudan. The plan would be to encircle and slaughter them north of Talodi. 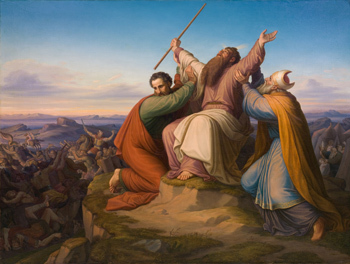 May the God of the breakthrough (2 Samuel 5:20) fight for his people. The United Nations High Commission on Refugees (UNHCR) reports that 1,787 starving Nuba refugees have arrived in Yida, Unity State, South Sudan, since the beginning of the year, including 609 during the first two weeks of February. Home to 70,166 registered Nuba refugees, the large sprawling informal Yida refugee camp includes markets, businesses, schools, farms and even an airstrip. Indeed the Nuba in Yida are largely self-reliant. However, the UN and South Sudan's Refugee Affairs Commission are calling now for the camp to be closed in June 2016 and the refugees to be moved to another camp where they will be confined and provided for by the UNHCR. New arrivals in Yida now receive UNHCR rations only if they relocate to Ajuong Thok camp, which the Nuba claim is not as secure as the Yida camp. 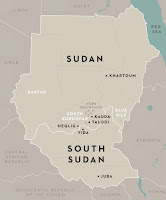 Not only is Ajuong Thok closer to a Sudan Armed Forces (SAF) garrison, it is located in territory controlled by South Sudan's rebels led by Riek Machar, a long-time ally of Khartoum. Reports emerged in late 2014, exposing Khartoum's plan to starve the Nuba and empty their refugee camps. [For full details see RLPB 286 (12 Nov 2014).] Pray for the Nuba refugees in South Sudan. On Sunday 21 February Islamic militants murdered a Hindu priest in the far north of Bangladesh, slitting his throat in the Deviganj temple near Panchagar. Three Islamic militants have been arrested. In claiming responsibility, Islamic State boasted that the 'soldiers of the Caliphate liquidated the priest' in a temple belonging to 'infidel Hindus'. This killing stands as a stark reminder of the threat facing churches and Christian pastors in Bangladesh. May God protect and preserve the Church in Bangladesh. In February 2015 ISIS released a video showing the beheading of 20 Copts and one Ghanaian on a Libyan beach. Days later, a Coptic teacher filmed some students mocking the pseudo piety of IS -- a piety that enables them to lift their hands in prayer to Allah one minute and then take a knife to a bound man's throat the next. Unfortunately the teacher lost his phone and the footage ended up being shared on social media. The teacher, Gad Younan (42), has since been sentenced to three years jail for insulting Islam, although he has been released pending an appeal. The four Coptic teenage boys in the 30-second video have been charged with insulting Islam by misrepresenting Islamic prayer. They will face court on Thursday 25 February to hear the verdict. Pray for the Church in Egypt. FURTHER UPDATE: On Thursday 25 February, an Egyptian court sentenced three teenage Coptic boys to five years in prison for the crime of 'contempt of Islam' and 'inciting sectarian strife'. The fourth and youngest teen has been sentenced to an indefinite periodt in a youth detention centre. Defence lawyer Maher Naguib described the verdict as 'unbelievable', and vowed to appeal. The boys have already been forced out of their village in Minya, Upper Egypt. The verdict has left the boys and their families distraught and 'terrified'. Pray for Egypt's threatened Christians. * EGYPT: UPDATE ON SAT 7 [RLPB 331 (14 Oct 2015)]. On 17 February SAT-7 Egypt Director Farid Samir received official confirmation that the case against him had been closed and all charges had been dropped. Middle East Concern reports that cameras and other equipment confiscated by the authorities in the October raid have been returned to SAT-7. The charges were proven false and SAT-7's registration and licences are all in good order. Praise God for justice. * SYRIA: UPDATE ON ASSYRIAN CAPTIVES [RLPB 331 (14 Oct 2015)]. On Monday 22 February IS released another 43 Assyrian captives. The Assyrian International News Agency reports: 'According to the Assyrian Church of the East, there are no more Assyrians from Khabur being held by IS. However, IS is still holding 179 Assyrians it captured in the town of Qaryatain on August 6, 2015.' Praise God for the safe return of the 43 captives and pray for the remaining captive Assyrians. Pray for the Assyrian nation, a Christian refugee nation driven from its homeland. May God protect, preserve and restore the Assyrians. The Syrian government made great advances in 2014. Then in early 2015 Turkey and Saudi Arabia escalated their support of the Islamist opposition. This changed the balance and by September 2015, al-Qaeda-aligned forces were pressing into Latakia (the Alawite heart) and IS was poised to cut the M5 Highway, severing Damascus from the rest of the country. Either would have been fatal and IS was poised to fill the vacuum in Damascus [see RLPB 322 (12 Aug 2015)]. It was at this point that Russia entered the fray, at Syria's invitation, to defend its own interests and help fight for the preservation of a secular, pluralist Syria. This puts Russia at odds (ultimately) with both the Sunni Axis and with Iran. Unnerved by Iran's Shi'ite sectarianism, the Syrian government is leaning increasingly on Russia. Meanwhile, with total disregard for Syria's Christians and other minorities, the West is backing the Turkey-Arab Sunni Axis, which seeks regime change in Damascus so it can install a Sunni dictator more amenable to Sunni interests. The primary objective of the loyalist offensive in the north has been to close the Turkish border through which jihadists flow in and IS oil flows out. Syrian forces are now very close to severing the critical rebel supply-line that runs from Turkey to Aleppo. With the balance shifting again, Turkey has escalated its calls for a no-fly zone and, along with Saudi Arabia, is appealing for Western support for an invasion. Saudi Arabia has deployed fighter aircraft to Turkey's Incirlik air base, (purportedly to fight Islamic State) and is calling for the rebels to be supplied with surface-to-air missiles for use against loyalist aircraft. Any foreign invasion would be illegal and explosive. Meanwhile, the West -- which competes with Russia for markets -- is ramping up its 'Russiaphobia' to new heights. Reports even claim that Germany's migrant crisis is part of Putin's grand conspiracy to destroy Angela Merkel and all Europe with her. In truth, the migrant crisis is the result of a regime change operation gone wrong, followed by a catastrophic open-door migration policy. The Syrian government is all that stands between Syria's imperilled minorities and genocidal jihad. Pray for God's mercy and grace and power to be manifest in Syria, for the sake of his people, our brothers and sisters in Christ. (Deror Books, Dec 2012), which presents a Biblical response to persecution and existential threat. Her second book, ‘After Saturday Comes Sunday’: Understanding the Christian Crisis in the Middle East, is being published by Wipf and Stock (Eugene, OR, USA), and will be released in the coming months. For Christians in the southern hemisphere, summer is fading and will soon be replaced with the glorious colours of autumn/fall. For Christians in the northern hemisphere, winter is coming to a close and spring is in sight, heralded by early blossoms. For Christians in the tropics, the wet season is over, the roads are opening and people are on the move once again. What this means for Christians in northern hemisphere and tropical conflict zones, however, is that the fighting season is upon them: the Spring Offensives are about to begin. Long economically and politically marginalised, discriminated against and violently persecuted, the black African peoples of Sudan's Darfur (in the west) and South Kordofan and Blue Nile (in the south) oppose the overtly racist, Arabist supremacist and Islamist totalitarian rule of the Government of Sudan (GoS) in Khartoum. However, the GoS does not abide opposition, resistance or rebellion, especially when Darfur has gold, Blue Nile has gold and water and South Kordofan has oil. The GoS wants these regions subdued -- preferably ethnically cleansed and repopulated with Arab Muslims who will support the regime in Khartoum. Located in the centre of South Kordofan, the Nuba Mountains are home to some 50 African tribes, collectively known as the Nuba. Predominantly Christian, the Nuba have already survived an attempted genocidal jihad in 1992-93, when 100,000 Nuba perished from GoS attacks alone. 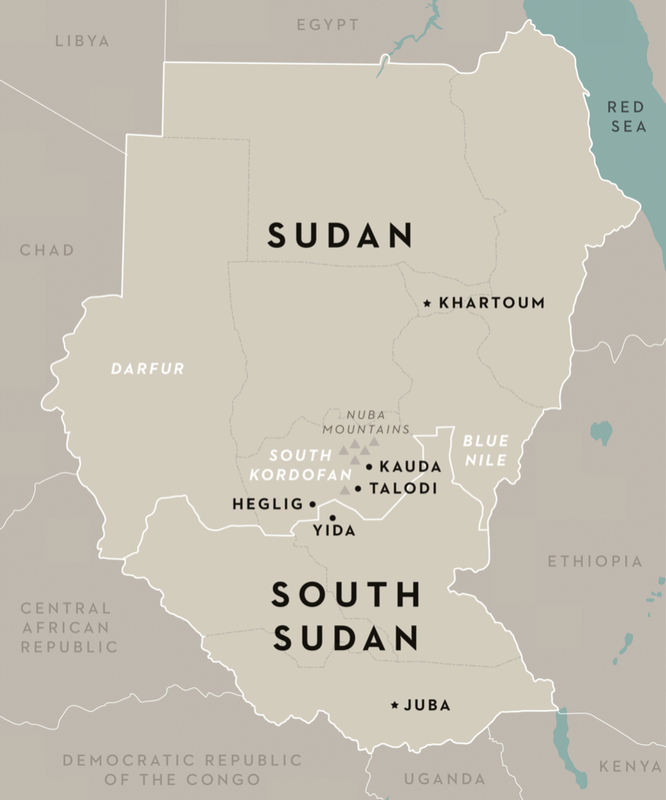 In June 2011, ahead of the secession of South Sudan, the GoS re-launched its genocidal jihad against the Nuba, and by September 2011 had spread its war into Blue Nile. [Darfur (west) is a separate theatre of conflict. For more background on the GoS jihad in the south, see RLPB 194 (22 Jan 2013)]. Fighting is virtually impossible during the wet season in Sudan which lasts from May to October. During the dry season, GoS strategy involves aerial bombardment followed by ground offensives aimed at devastating and decimating non-compliant peoples ahead of the next wet season when roads will again be impassable and delivery of aid virtually impossible. In late November 2015 DefenceMinister Awad Ibnauf told the federal parliament that the areas controlled by the rebel Sudan People's Liberation Army-North (SPLA-N) 'will be liberated through a massive military operation'. Days later, sources in Blue Nile and South Kordofan told Radio Tamazuj (Sudan) that Sudan Armed Forces (SAF) troops and equipment were arriving in Malkan, Geissan and outskirts of Kurmuk areas in Blue Nile state, and in Kadugli, the capital of South Kordofan State. On 9 February 2016 an eye-witness in West Kordofan told Radio Tamazuj that SAF troops had passed through El-Fula on their way to South Kordofan. The source reported seeing some 500 pick-up trucks belonging to the Rapid Support Forces (RSF), the GoS-sponsored Arab militia (janaweed). According to the source, the convoy appeared to be ethnically mixed, which could indicate the GoS is now employing foreign jihadists. Similarly, eye witnesses have told Nuba Reports that the GoS is amassing troops along the borders of SPLA-N-controlled areas. 'Mass government troop movements are repositioning themselves south of South Kordofan's capital, Kadugli, to areas near the Sudan and South Sudan border. Other government forces are moving from Rashad County to Abu Jubaiha in South Kordofan in what may be a two-pronged attack on the rebel-controlled capital town, Kauda.' Eye witnesses in Blue Nile have also reported a mass build-up of troops 'moving at night through the state's capital, Damazin, south to the Kurmuk County region'. The spokesperson for the SPLA-N, Arnu Ngutulu, confirmed that the SPLA-N is preparing and re-positioning accordingly. Sources maintain this is the largest build-up of SAF troops they have seen. While an estimated 4000 troops are believed to have arrived in the south, the ultimate number of troops could be much larger as the SAF has been recruiting within the area as well. The situation across the entire 'New South' is extremely serious and some 230,000 predominantly Christian Nuba are at imminent risk of military attack. 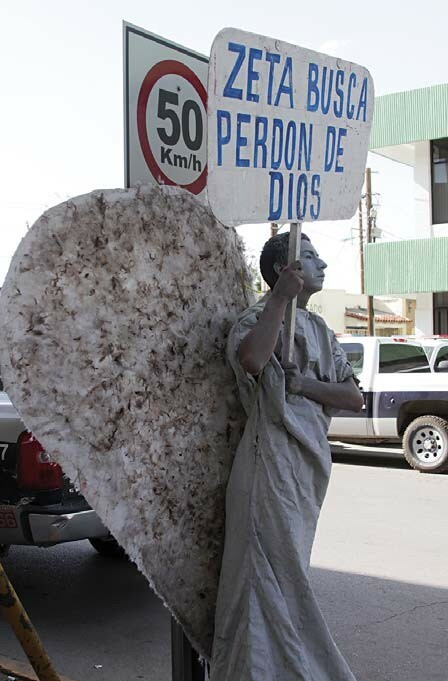 * 'Jesus Christ, who has gone into heaven and is at God's right hand, with angels, authorities and powers in submission to him' (1 Peter 3:22 ESV), the Lord of Hosts, will command his forces to fight in defence of his precious people. May the SPLA-N prevail; may the people be spared; may the plans of the wicked come to nothing. Pray Psalm 33:8-22. * the Lord will protect the Nuba, along with their crops and livestock, maintaining access to food and medical aid, and providing his children with everything they need. * God will bless all those who risk their lives to bring aid and to support the imperilled believers of the Nuba Mountains. 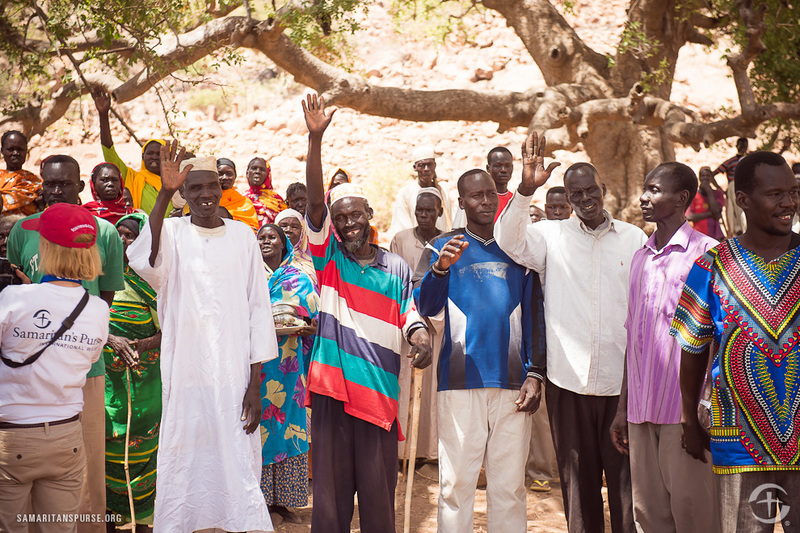 May aid groups be blessed with everything they need to fund and deliver aid to the Nuba; may local pastors have divine wisdom and insight, as well as a shield of protection, so they can care for the flock and bolster their faith. * the Sovereign King of Kings will lift up his hand against the evil regime in Khartoum which wreaks terror across the land and kills with impunity. Pray Psalm 10:12-18. NOTE: In February 2012 the GoS drove some 200,000 starving Nuba out of the mountains and was preparing to massacre them in the Kauda valley, until the battle was turned back in answer to prayer [see RLPB 148 (28 Feb 2012)]. Just twelve months ago, in January 2015, SAF and RSF forces surged into Nuba territory and advanced to within 20km of the rebel capital, Kauda, [RLPB 292 (16 Jan 2015)] before the battle was turned back at the gate in answer to prayer [RLPB 294 (28 Jan 2015)]. Christians in the Nuba Mountains of South Kordofan, Sudan, are bracing for yet another round of genocidal jihad. Eye-witnesses report that the overtly racist and Islamist totalitarian Government of Sudan (GoS) has deployed some 4000 troops south, both Sudan Armed Forces (SAF) and Rapid Support Forces (RSF). The RSF appears to be ethnically diverse, raising suspicions that the GoS is employing foreign jihadists. Whilst the build-up commenced in December, columns of many hundreds of military vehicles have reportedly been seen entering South Kordofan in recent days. They seem to be preparing for a two-pronged attack on the 'rebel' capital, Kauda. The GoS does this every year -- and every year we pray and God answers prayer. Please pray for the Nuba and for Sudan, asking God to intervene. Between 1958 and 1961 at least 18 million (and possibly as many as 45 million) Chinese died as a direct result of Chairman Mao's disastrous socio-economic campaign know as the 'Great Leap Forward'. Subsequently dissent rose within the Chinese Communist Party (CCP). 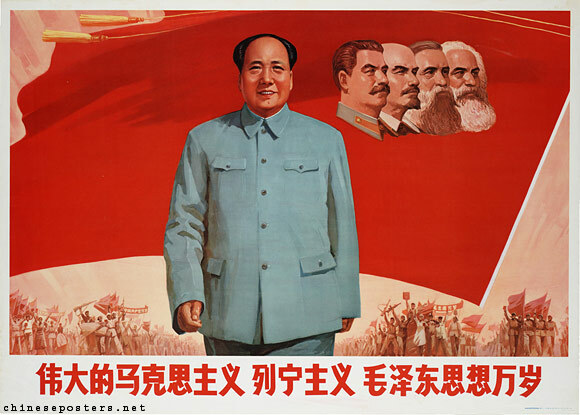 In 1966 Mao struck back, launching the socio-political movement known as the 'Great Proletarian Cultural Revolution'. He purged opposition from the CCP and incited indoctrinated youths to purge society of 'closet capitalists'. Books were burned, art was destroyed, intellectuals were incarcerated and killed, churches were confiscated and bulldozed, foreign missionaries were expelled or executed, and Chinese pastors were murdered and condemned to decades in labour camps and coal mines. At that time the Church in China was estimated to be around one million strong. Despite being severely persecuted the Chinese Church committed herself to mission. God redeemed the suffering, using it to make hearts receptive to the Gospel. For decades Church growth was largely confined to rural regions. But then, the Tiananmen Square massacre of 4 June 1989 shattered the confidence of China's urban elite, opening the door to the spread of the Gospel in the cities and through every level of society. By the beginning of the 21st Century the Church in China was estimated to number 100 million, with Chinese Christians working and witnessing as lawyers, academics, entrepreneurs, musicians, et al. This growth has occurred in the absence of foreign missionaries, making Christianity in China an indigenous movement. The most un-Chinese thing in China today is the Marxism Mao imported from Europe! From 2002 - 2007 Xi Jinping served as governor and party secretary of Zhejiang Province, where he would have witnessed the phenomenal growth of Protestant Christianity, particularly in the city of Wenzhou, known as 'China's Jerusalem' because of its many churches, Christian-run businesses and its sizable, influential Christian minority. According to a new report by Willy Lam (The Jamestown Foundation, China Brief, 4 Feb 2016) it is no accident that President Xi's campaign to ‘Sinicize Christianity’, so as to put Christianity into the service of the CCP, was launched in Zhejiang. Lam comments, 'Except during the Cultural Revolution, "official" churches' -- as distinct from house churches which refuse to come under the auspices of the CCP-approved Three Self Patriotic Movement (TSPM) and the China Christian Council (CCC) -- 'have not been directly subjected to the party's ideological or doctrinal intervention.' Lam is wrong on this count for this has recently changed, as noted in RLPBs 341 and 342. Pastor Gu Yuese, arrested on 27 January, was an official with the CCC and pastor of China's largest TSPM church -- Chongyi Church in the Zhejiang capital, Hangzhou. Now detained in a 'black jail' on charges of corruption, Gu's only offence was to criticise CCP policy in Zhejiang. The government has since appointed a new pastor to oversee Chongyi Church, having divided up and transferred out its pastoral team. 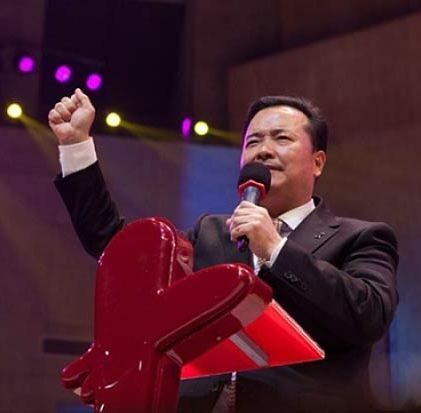 Authorities have also arrested Li Guanzhong: the chairman of the China Christian Council (CCC) in Pujiang County, Zhejiang, and senior pastor of Puyang Christian Church in the city of Jinhua. Arrested on 29 January, Li and his wife, Zhang Shuzhen, now also are detained in China's 'black jail' system where, like Pastor Gu, they are being held incommunicado, without access to legal representation, on charges pertaining to corruption. Like Gu, Li had protested CCP policy in Zhejiang. In July 2014 he resisted CCP pressure to destroy his own church's cross. More recently he resisted the CCP's order that all TSPM churches fly the Chinese flag. Eighteen crosses have been toppled from churches in Zhejiang since 1 January (some 1800 since February 2014) and eight TSPM pastors are now detained. Furthermore, the authorities have abducted five booksellers out of Hong Kong and a journalist out of Thailand; formal charges have been brought against nearly 20 human rights lawyers; and coerced 'confessions' are once again being broadcast on state television. This year, 2016, marks the 50th anniversary of the launch of Mao's Cultural Revolution and many observers suspect that a new cultural revolution is upon us. Just as the last one failed, so too will this one. In fact it could even facilitate revival and result in the collapse of the CCP, but not before much suffering has been unleashed. The Church in China needs our prayers for wisdom, for endurance and for mission. * China's imprisoned pastors and Christian human rights lawyers will have full assurance that nothing can separate them from the love of Christ Jesus (Romans 8:35-39) who has promised to be with them to the end of time (Matthew 28:20) and to give them rest/peace (Matthew 11:28; John 14:27) and strength (Isaiah 40:31; 2 Corinthians 12:9). * the Spirit of God will restrain evil hands and act to protect his faithful ones imprisoned in secret detention, where cruel treatment is highly likely (Psalm 10). * God will redeem all suffering; may the blood of the martyrs and the tears of intercessors be redeemed that many hearts will be prepared to receive the Gospel of grace, the hope of nations. A NEW CULTURAL REVOLUTION IN CHINA? This year, 2016, is the 50th anniversary of Chairman Mao's Cultural Revolution and it seems there is now a new cultural revolution. Not only is President Xi purging the Chinese Communist Party (CCP) of all opposition, he is reviving Maoist ideology and strengthening CCP control over everything, including the Church. President Xi's campaign to force the Church into the service of the CCP is focused at present on the southern coastal province of Zhejiang. 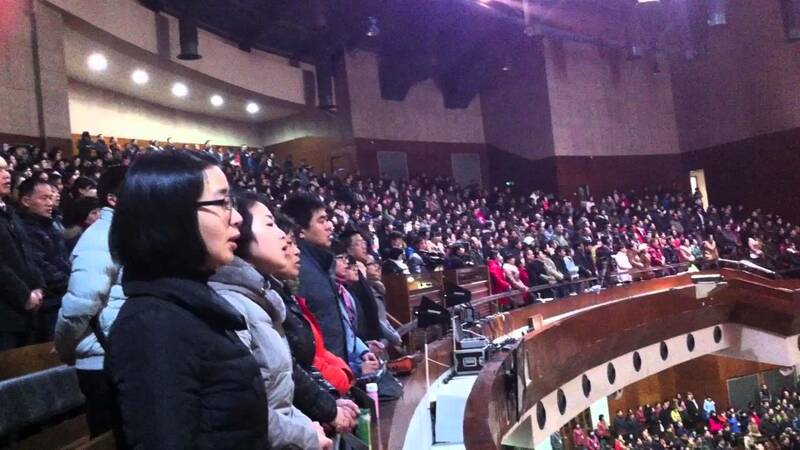 For the first time since Mao's Cultural Revolution of 1966 - 1977 the CCP is targeting official, CCP-approved churches. 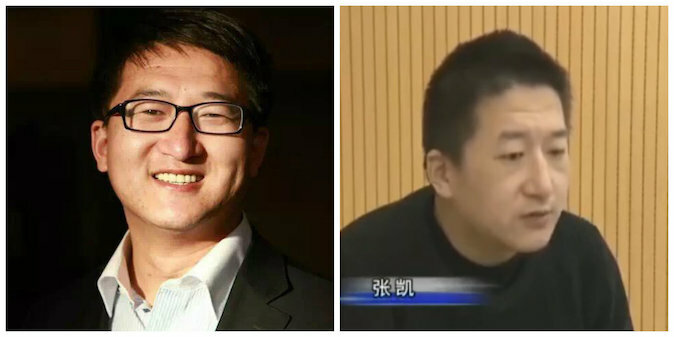 In recent weeks two of Zhejiang's most senior registered pastors have been imprisoned, essentially for criticising CCP policy and resisting CCP orders. The situation in China is extremely serious. Please pray for China and its Church. -- Plus China Update: Pastor Gu Yuese arrested. Pope Francis will visit Mexico for a six-day tour over 12-17 February. His itinerary will include visits to poor and indigenous communities and his message will 'highlight issues of economic justice, migration, drug-related violence and the rights of indigenous peoples'. Though Mexico is overwhelmingly Catholic (around 80 percent of the population), the Catholic Church is in decline, riddled as it is with the rapidly growing Satanic cult of Santa Muerle (Saint Death) and the syncretism so prevalent in historically animist indigenous communities. In this context, Protestant Christianity has grown from 4.9 percent of the population in 1990 to 7.6 percent in 2010, arousing jealousy and angst in the Catholic Church. Though Mexico has excellent religious freedom laws, the situation on the ground is far from satisfactory and Protestants are in the firing line. Sometimes the persecution is incited by jealous Catholic clergy. At other times it is driven by fear that Protestant refusal to participate in idol worship or animist rituals will attract the wrath of belligerent spirits. More often than not it is a mixture of both. 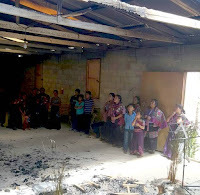 In the most recent case, Baptist officials have confirmed that ten Baptist families, comprising 18 adults and 10 children, have been expelled from Tuxpan de Bolanos, an indigenous Huichol community in the north of Jalisco State. (Some reports give double these numbers.) In December the village assembly adopted a resolution vowing to expel the Baptists if they did not return to Roman Catholicism, which the assembly described as 'the traditional faith'. Even though state and federal government officials and the Jalisco State Human Rights Commission were alerted, no action was taken to save the believers from forced displacement. On 26 January the Protestants were informed a truck would come to their homes to take them away. They were warned that if they failed to co-operate they would be lynched. According to the National Baptist Convention of Mexico (NBCM), after being taken away by the truck the group was 'abandoned' in the mountains. The NBCM collected the believers and transported them to safety in Puente de Camotlan, in neighbouring Nayarit. Such persecution occurs frequently in Mexico, especially in indigenous communities. Despite Mexico's excellent religious freedom provisions, persecution persists primarily because the country's laws are not upheld and the persecutors are never punished but are protected by Catholic officials. If Pope Francis really believes in justice and really cares about indigenous peoples and the poor, then he should raise his voice of authority and call for an end to Roman Catholic persecution of Mexico's Protestant Christians, most of whom are poor and indigenous. * God, our merciful father, will provide for the displaced Baptists of Tuxpan de Bolanos, supplying all their needs and securing justice on their behalf. * Jesus Christ, the Good Shepherd, will lead and guide Mexico's Protestants, especially their local shepherds/pastors, as they risk much to offer life and hope to a troubled land and a desperately needy people. Lord, in your grace and mercy, continue to bless their courageous, sacrificial and costly witness. * the Holy Spirit will move Pope Francis to raise his authoritative Catholic voice in defence of religious freedom and in the cause of justice, for the sake of Mexico's mostly poor and indigenous, persecuted Protestants. Mexico's population is 80 percent Roman Catholic, but that Church is declining while Protestant Christianity is growing. Despite excellent legislation for religious freedom, Mexico's laws are not upheld and Roman Catholics who persecute Protestants are never punished. The problem is most severe in indigenous communities where Catholicism is blended with traditional animist beliefs and practices. On 26 January ten Baptist families who refused to return to Catholicism were forcibly expelled from their indigenous community in Jalisco. Despite the authorities being alerted, no action was taken to protect the Protestants who were loaded into a truck, driven into the mountains and abandoned. The National Baptist Convention of Mexico went and took them to safety. Such persecution is frequent in Mexico, especially in indigenous regions. Please pray for Mexico and its Church. Last week's RLPB 341 reported that the Three Self Patriotic Movement (China's official Church) and China Christian Council (official organisation) had dismissed Pastor 'Joseph' Gu Yuese as pastor of the 10,000-strong TSPM Chongyi Church in the Zhejiang capital, Hangzhou, after he criticised the Chinese Communist Party (CCP) policy of removing crosses in Zhejiang. On 27 January police arrested Pastor Gu at his home and placed him in secret detention where he is reportedly being investigated for corruption. According to reports, 'The incident has sparked significant uproar in the Christian community in China.' As China Aid head Bob Fu told the BBC, the charges are nothing more than 'political revenge' for disloyalty to the CCP. Please pray.